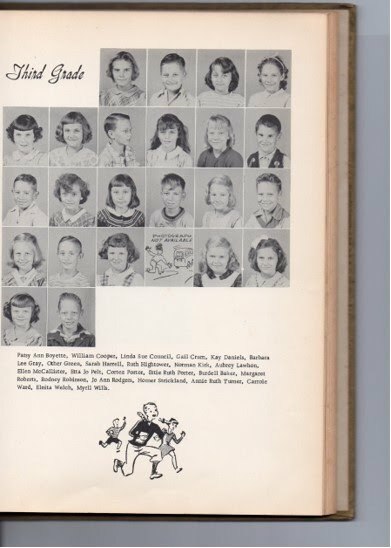 Here is a photo of the other third grade class at Crawfordville Elementary, 1951 - 1952, courtesy of Betsey Edmondson. Thanks, Betsey! This is a page from the yearbook, so not a mystery photo! Anyone remember who taught this class?